A quick look at one of the best enemies in the game, how they came to be, their influences and some gameplay. 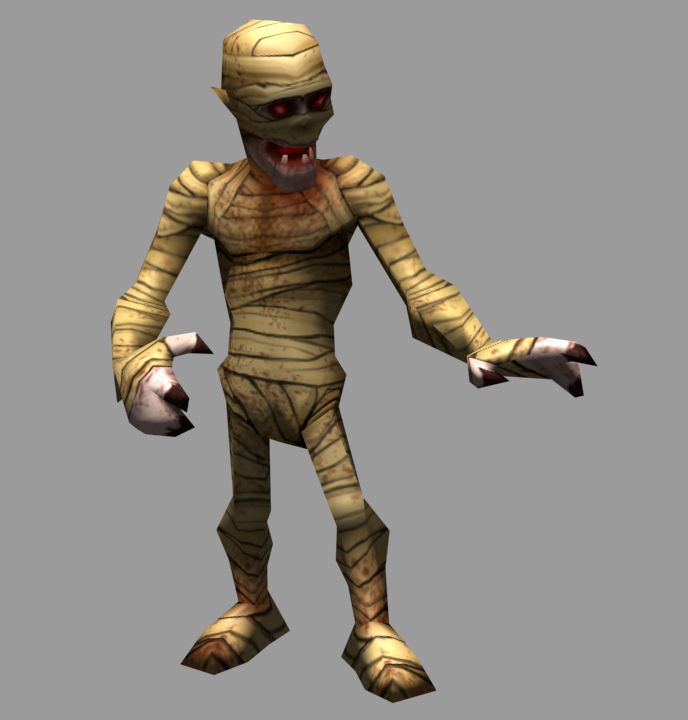 What Egyptian based game would be complete without mummies? Mummies have always fascinated us. The fact the body gets preserved with all of its parts put in separate jars and you needed to be of some level of respect in the community before you were allowed to embalmed, kinda funny that brainless, heartless, well respected bodies were walking around looking to eat some archaeologists. Our mummies took influence from lots of different angles, including the original The Mummy. Walking out of sarcophagi, and doing what mummies do, raising their arms, and being menacing, and scary is what mummies do! From a gameplay perspective, the 9 Lives’ mummies cause some intense moments as you try to ensure Casey stays alive long enough so he doesn’t lose all his new found lives. Casey has a one touch death with mummies so watch out when they turn up because it is more than likely the death of you! Keep an eye out this week for 9 Lives: Casey and Sphynx on your Arena app, Amazon or Google Play store!